We Sign Numbers is an invaluable addition to the We Sign series and should be a part of every ASL (American Sign Language) video library. We Sign Numbers is necessary for teachers, parents and libraries. Group Participation is also a strong message in We Sign Numbers. Your children will see that signing with other children is fun and easy! We Sign Numbers features an instructor track that teaches all the signs for the ABC’s and words that will be used in the song as well as our We Sign Kids track with energetic fun loving kids who can’t wait to sing and sign their favorite numbers songs. 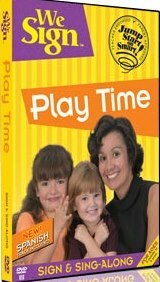 Learning and using American Sign Language is made simple and easy to imitate. We Sign Numbers is learning and fun all rolled into one. When your children sign along with We Sign Numbers, they will quickly master simple and advanced signs quickly and with ease. We Sign Numbers is a production children will love to watch again and again! For more vocabulary and other great songs, try our other We Sign selections. 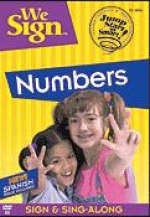 We know you’ll love We Sign Numbers and use the We Sign Series for all children’s ASL (American Sign Language) needs.